You will most likely start playing Fruit Case smiling as the animations are happy pieces of fruit and the background music is very catchy. The slot makes use of standard symbol, but they have been altered to still fit the rest of the slot. Namely, the standard symbols come in the form of a jar lid. Animations part of a winning combination will be squashed, removed, and replaced by new symbols falling from the top. 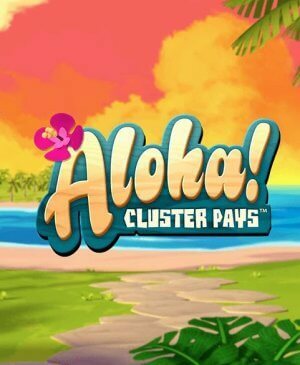 In the top right corner, you will find the multiplier. The more wins form in a row, the higher the multiplier becomes. After an unsuccessful spin, the multiplier drops back to 1x. 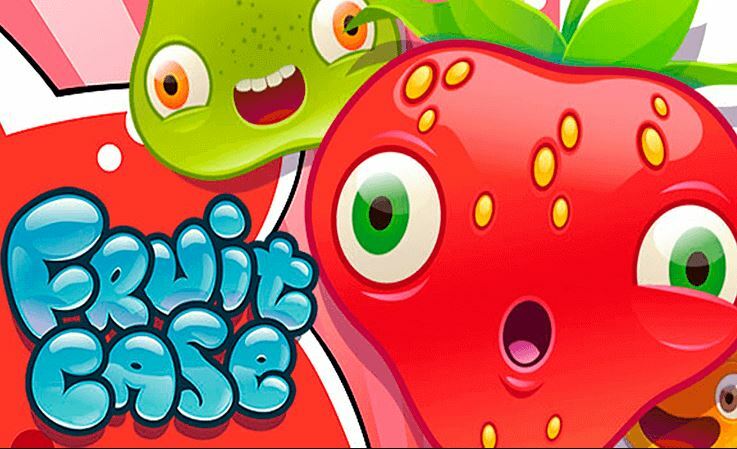 Fruit Case might at first glance look a bit insipid, however, after playing for a little while, you will understand why Net Entertainment has produced a slot with this theme. 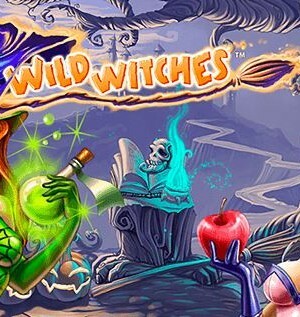 The slot has free spins, wild symbols, and an increasing multiplier. One could also say that this game makes use of an avalanche feature, but then one with a pretty weird execution. How to play Fruit Case? When the Free Fall symbol ends up on your playing grid at least three times, it’s time for free spins. Because winning combinations disappear and get replenished, your chances of reaching free spins are pretty good. 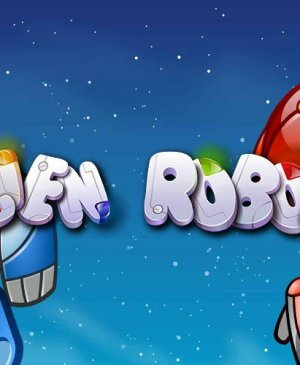 Unfortunately, NetEnt has decided to leave the multiplier the same during free spins. In other games, such as Gonzo’s Quest, the multiplier is even bigger and better during free spins than during regular spins. 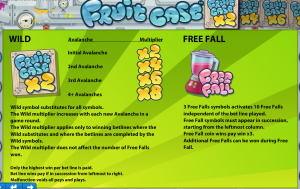 On the other hand, as said before, reaching free spins on Fruit Case isn’t that hard. During free spins, you can win additional free spins if the scatter decides to show up again. The scatter is, very fittingly, a blender. A little something extra on Fruit Case is the wild symbol. This wild symbol can substitute for any other symbol except the scatter. Because of the wild, you will win more frequently and wins will be higher. What’s more, wins that involve the wild symbol will also be multiplied again by the same factor as the overall multiplier! This way, NetEnt has put a lot of great extras in a relatively simple slot. 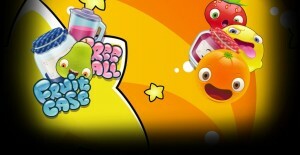 Fruit Case has a total of 20 pay lines and with all the fun stuff happening all the time, that’s more than enough. Also, the avalanche function on this slot basically brings about free re-spins, making it an even more interesting slot. A relatively small slot that loads quickly and that is jam-packed with fruit and fun!